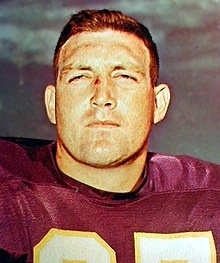 In the 1961 expansion draft, the Minnesota Vikings acquired Left Tackle Grady Alderman. The undersized Alderman would be the teams first Blindside tackle in franchise history, and what a first it would be! Alderman played in a 194 regular season games for the Vikes, adding 12 more for post season appearances. Played in three Super Bowls, earned six Pro Bowls, and eventually would be named a 50 greatest Viking in 2010. "Grady Alderman was the first player I met at training camp in Bemidji," Tarkenton said. "He and Mick Tingelhoff went on to be the very best of friends and stayed that way. Grady played left tackle for us and he was everything you would want in a player. He was smart, had great talent and was a team-first guy. "Those early Vikings teams had a foundation on the offensive and defensive lines - they were Grady Alderman and Jim Marshall," Tarkenton added. Alderman spent from '61-'74 with the Vikings. In '75, after a training camp with the Bears, Alderman took a broadcasting position with WCCO radio calling Vikings games for 4 seasons. His impact on Vikings history reaches outside of the field of play. Alderman played a major role in overseeing the construction of Winter park, and helping to get the funding for the building of the HHH Metrodome. Grady Alderman passed away April 5th, 2018. He was 79.